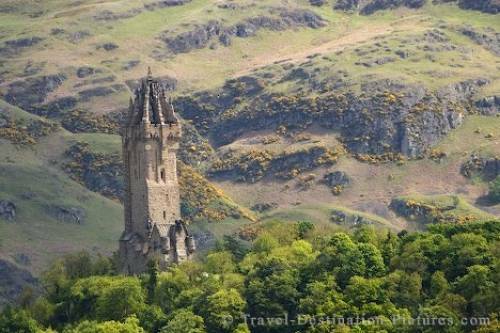 The Wallace National Monument which sits atop the Abbey Craig, commemorates a 13th century Scottish hero by the name of William Wallace. The monument of William Wallace, the famous Braveheart can be seen on the hill opposite to the famous Stirling Castle, former scottish kings residence in southern Scotland. backdropped by the Ochil Hills, Scotland.